This is a wonderful perennial to attract the Monarch butterfly. Monarchs and other butterflies fuel up on the nectar from the beautiful orange to bright red flowers. It’s also the unique host plant for a Monarch’s larva. The adult butterfly lays its eggs on the leaves. When the eggs hatch, the larvae munch down until they pupate. We may lose a few leaves, but we get these great butterflies in return. Since populations are diminishing, this is a great plant to sustain them. 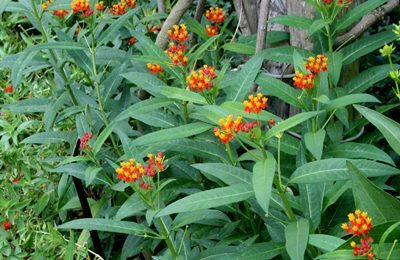 Butterfly weed gets about 2′ tall and about 1-1/2′ wide. It prefers full sun, but tolerates a little bit of shade. It also tolerates clay soil, but prefers better drainage. 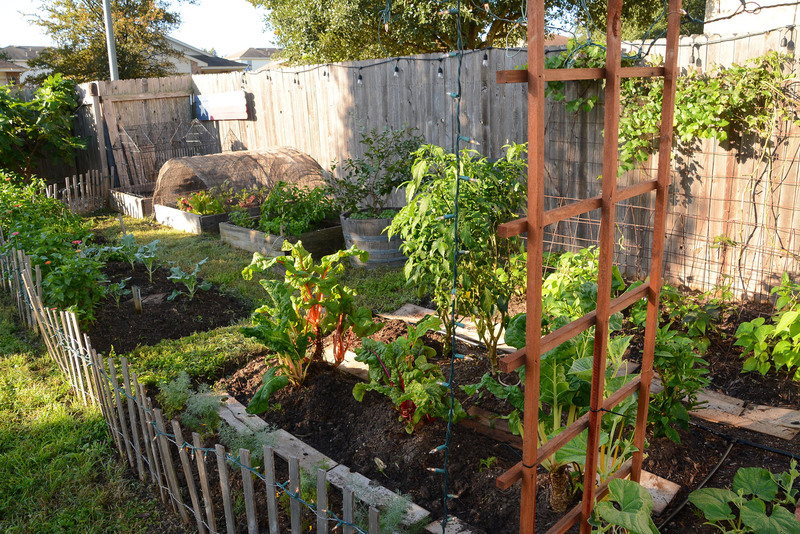 If you have clay soil, simply mix in some compost, crushed granite, or other grit to improve the drainage. It is drought tolerant, but certainly appreciates extra moisture in dry summers. It dies back in winter but quickly returns in spring.